avatar Wars. 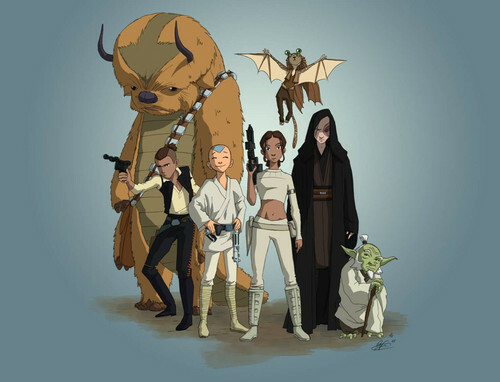 [From left to right] Appa (Chewbacca), Sokka (Han Solo), Aang (Luke), Katara (Padme), Momo (Jar Jar), Zuko (Anakin), Iroh (Yoda). HD Wallpaper and background images in the Avatar: The Last Airbender club tagged: aang momo katara sokka. appa zuko iroh. I love Momo as Jar Jar! LOL! HAW HAW HAW!!!!!! XD LOL!!!! ROFL!! Haha I love Aang's expression! But I don't like the whole Katara x Zuko thing there. . . .
this is a perfect mash-up by Dave Filoni - he worked on BOTH Avatar and the Clone Wars shows. 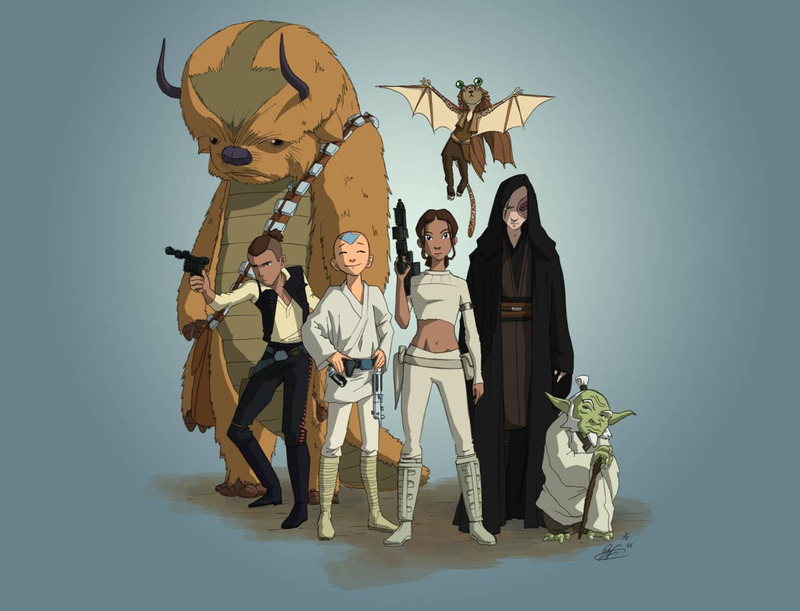 Shouldn't Aang be Han solo?